There are certain activities and pastimes that are simply timeless. Apple picking is one of them. 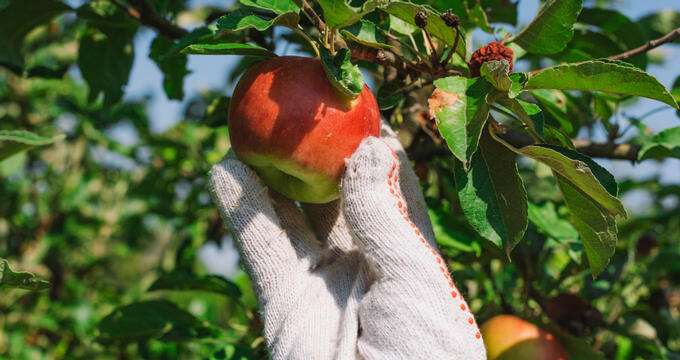 When fall arrives and the temperatures start to get a little frosty, many people want to stay indoors and keep warm at all costs, but it can be a real thrill to head outside and visit a nearby farm or orchard to pick some apples. It’s an affordable activity, with the average bag of picked apples being far cheaper than you might expect, and an accessible one too, having a lot to offer for people of all ages and backgrounds. As America’s third biggest city, Chicago is home to a whole lot of people, many of whom grew up with apple picking and want to share the same great experience with their friends and family. Chicago has a lot of attractions and activities to offer, but apple picking can’t really be found in the city itself. Fortunately, there are some highly rated fruit farms and apple orchards located in and around the surrounding Chicagoland metropolitan area. These locations have dozens of different apple varieties to choose from, and many of them also provide homemade goods and tasty treats like pies, donuts, and ciders, as well as fun activities for younger visitors. If you live in Chicago and want to go apple picking during the fall, you’ll be pleased to know that there are a lot of great options available to you. Some orchards can be found within less than an hour’s drive of downtown Chicago, while others are a little further away. Either way, we’ve taken a look at all the top spots near the Windy City. Read on for contact details and descriptions of the best apple picking areas near Chicago. Apple picking season at Royal Oak Farm Orchard starts in August and runs through until November, so it's open for almost the entirety of fall. This family-friendly farm welcomes every visitor with a kind smile, and there are approximately 120 acres of land to explore and enjoy, with more than 17,000 individual apple trees. If you're looking for variety, this is the place to be, with over 30 different types of apples being grown here. There's also a huge Entertainment Area which is totally free to enter and offers a variety of attractions like hay rides, orchard tours, and an apple tree maze. You can also visit the Apple Barn and Harvest Barn to purchase freshly-picked produce and tasty treats like apple cider slushees. County Line Orchard is actually located over in Indiana, but is still a relatively short drive away from downtown Chicago and is one of the most convenient apple picking locations for residents of the Windy City. With over 40 acres of apple trees to enjoy offering tasty varieties like Jonagold and Honeycrisp, along with various attractions and activities like live music, freshly-baked goods, corn mazes, and barnyard animals, there's a lot to love about this location. The admission prices are also very low and you can pick and choose which activities you'd like to make the entry fees work for you. Wagon rides will be waiting to take you over to the orchards and let you loose on the many apple trees at this scenic Illinois apple picking location, only a relatively short distance away from Chicago. There are a lot of different apple varieties to be picked here, with more than 15,000 trees ensuring that every guest has lots of space and privacy to enjoy their day without feeling crowded out by others. Additional attractions at All Seasons Apple Orchard include a petting zoo, zip line aerial adventures, a gigantic corn maze, and kart racing. Located a short drive north of Chicago following the coastline of Lake Michigan, Heinz Orchard is another great destination for anyone in the Chicagoland area looking to enjoy some apple picking in fall. This is actually one of the closest locations to downtown Chicago, being just under 40 miles away, and has been serving the area with tasty fruit and more for around seven decades. This is quite a small orchard without any of the extra activities like tractor rides and petting zoos, with all of the focus being on the apples themselves. This means that atmosphere at Heinz Orchard is very calm and peaceful, so it's a nice place to relax away from the noise of the city.